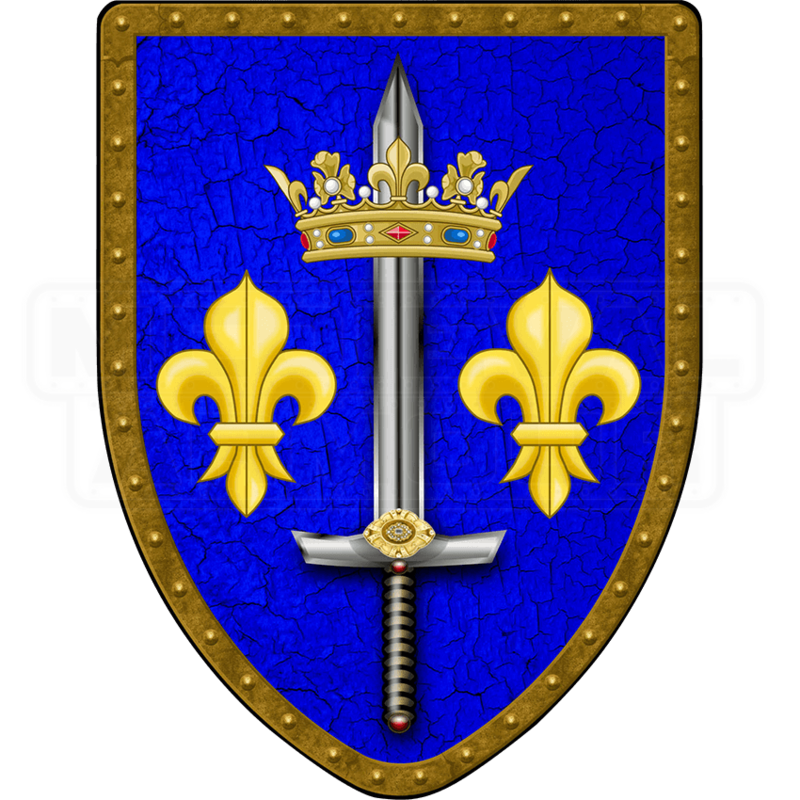 Heed the call to battle, and that of the divine, while displaying the Joan of Arc Steel Battle Shield. Constructed from strong, durable 16-gauge steel, this historical reenactment shield raises your defense during the next SCA event. Heraldic artwork displays across the front of the heater shield. 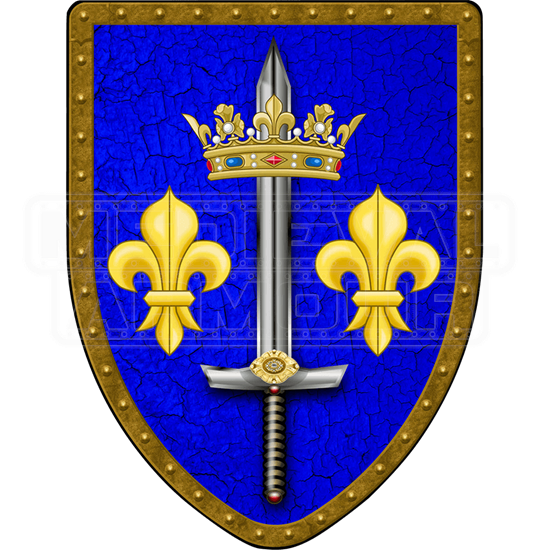 A sword with crown and two golden fleur-de-lis appear over a crackled blue background. Printed riveted golden trim lines the outer edges. A proprietary adhesive was used to apply the canvas print while a clear coat spray aids preservation. With options between a hanging chain for display or leather straps for a battle-ready grip, this fully functional shield deserves an honored place in your armory.